Sixty-four mums and dads have been arrested across the West Midlands for leaving their babies and young children home alone. The police figures for last year show a dramatic 200 per cent increase from 2012, when 22 parents were arrested. There were 46 arrests in 2013. Alarmingly a family law expert has warned that these figures could be "just the tip of the iceberg", while other child experts have blamed the harsh economic climate and changes to benefits payments. The latest cases include a pregnant mother-of-six from Birmingham who flew to Australia to see her boyfriend after telling her son she was going to ASDA. The Birmingham Mail previously reported the mum, who cannot be named for legal reasons, admitted six charges of willful abandonment and was handed a six-month suspended sentence at Birmingham Crown Court last November. In total five of last year's cases resulted in criminal charges while the rest were dealt with by way of community resolutions, cautions or were not pursued. • A child, whose age is listed as '0', was left home alone last February, resulting in his or her parents being cautioned. • A grandfather was arrested after a seven year-old child was left without supervision in October. • The arrest of a step-mother and step-father for abandoning a 15 year-old in April, the oldest child to be left home alone. No action was taken over the incident because the teenager did not support the police inquiry. In total eight children aged one or under were left to fend for themselves in 2013. The figures, released on the force's website, do not show how long the parents were away for. Barrister Jason Hadden MBE, who specialises in family law, praised better checks by the council, schools and police, but warned the figures might only represent the "tip of the iceberg". He said: "I think there's an expectation by the local authority that they have to undertake more checks and there is a greater degree of vigilance and extra resources being put in to ensure children turn up at school." Mr Hadden, who is based in Birmingham with St Ives Chambers, added: "Another question is whether parents do this because of neglect or because they can’t find care. "Birmingham City Council work really hard but it's not easy because there is only a finite amount of resources for the care system. "The figures may only be the tip of the iceberg as they only show the parents who got caught." Pat Reid, of PJ's, a London-based community service which also operates in Birmingham, blamed the rising arrests on economic pressures, family breakdown and changes to benefits. He said: "People are holding down two or three jobs to try and make ends meet and they don't have an extended family network to fall back on. "The changes to the benefits system have also been a disaster for many people, they struggle to get by or have difficulty managing money paid in a lump sum. "The knock-on effect is that people feel pretty desperate and the balancing act breaks down." Chris Cloke, head of child protection awareness at the NSPCC, said: "People may be surprised to learn that there's no legal minimum age for leaving children at home alone. The law simply says that you shouldn't leave a child alone if you think they'll be at risk. However, it's never acceptable to leave babies and very young children on their own. "Children mature at different rates so it's vital we have a common sense approach that ensures flexibility for parents, as they are best placed to know what is right for their child. "Ideally, parents should check that their children are happy and confident to be left at home alone and know what to do in an emergency. "We know that deciding if your child is ready to be left at home alone can be tricky. So the NSPCC has advice online to help parents make the right decision for their child." A spokeswoman for Birmingham City Council said: "Clearly children being left at home alone is of concern and any issues reported to us would be dealt with on a case by case basis, always in the best interests of the child." 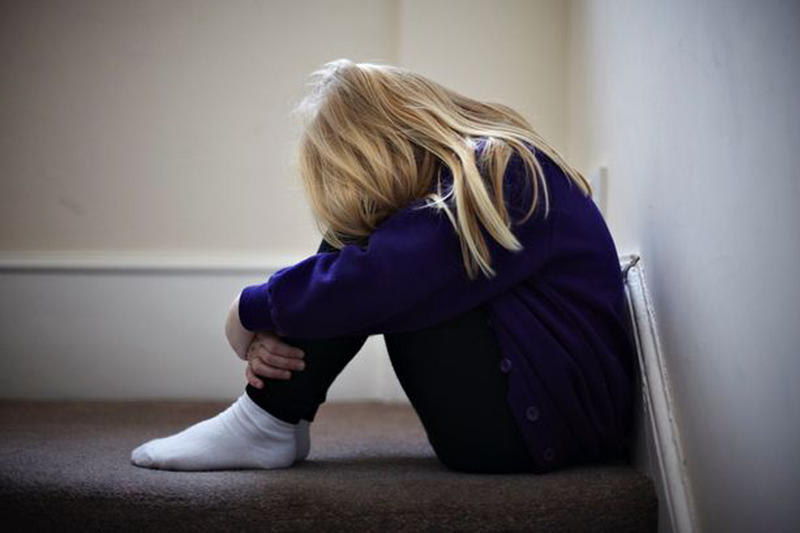 • The 'Help' campaign, an initiative from Birmingham Safeguarding Children Board and the NSPCC, is urging people in the city to contact the free, 24hr NSPCC helpline on 0808 800 5000 for help and advice or concerns about a child.